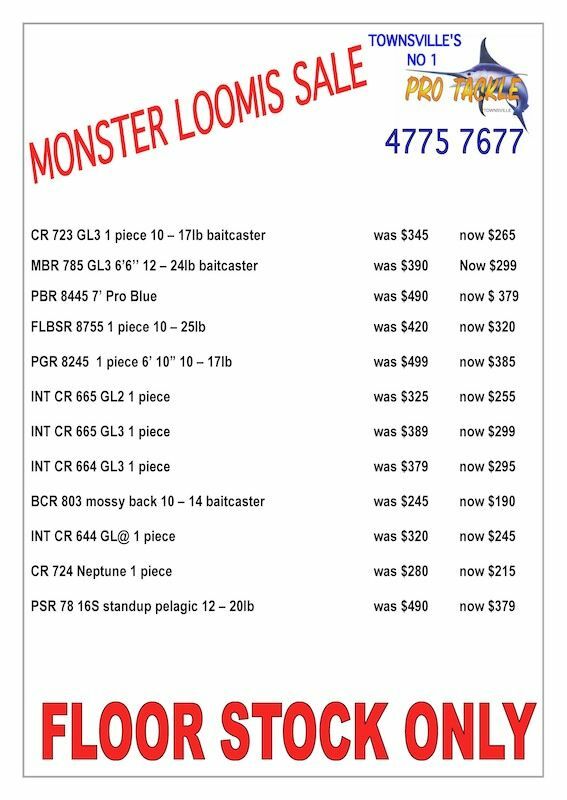 Pro Tackle are having a massive sale on floor stock! 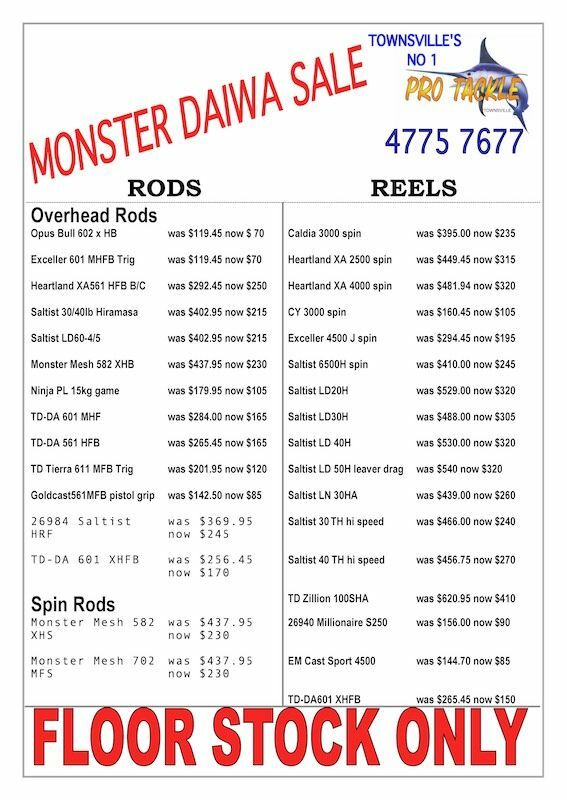 The sale includes Shimano T-curve rods, G-Loomis Rods and Daiwa Rods and Reels. 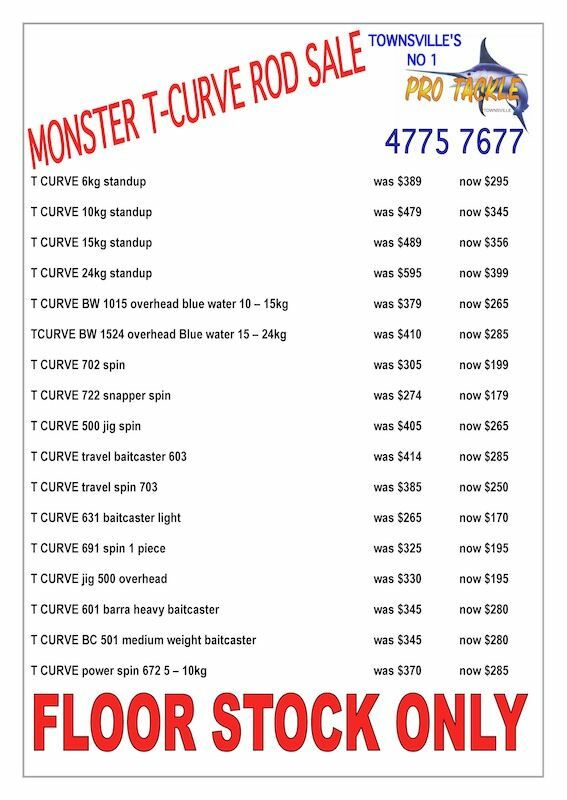 Click on the images below to check out huge savings.